At PAS we understand your spin welding project may not work with a standard piece equipment. That’s why we offer completely custom systems to suit you specific project needs. 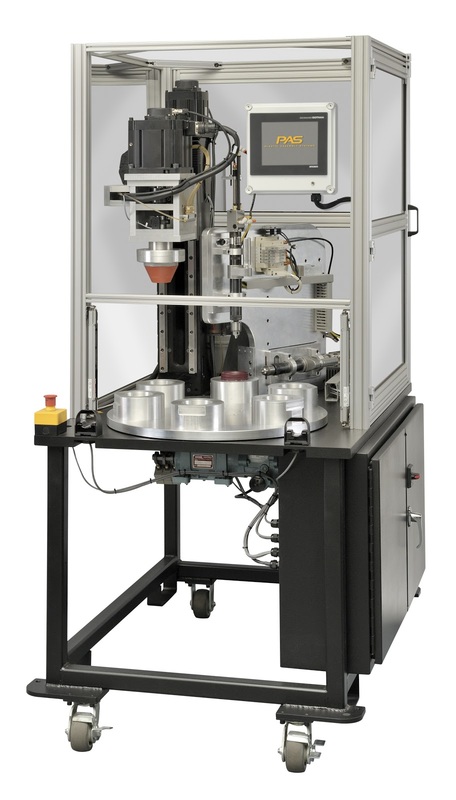 We utilize all our standard servo spin welding components to build you a custom system. So if your all out of options, a PAS custom servo spin welder might be your ideal solution. This particular spin welder was designed by our team at Plastic Assembly Systems and has a 6 position cam driven rotary table, a air driven drilling station, a servo spin welding station and a filling station. This machine also has the optional complete guarding package with light curtains and single actuation palm button.